It's chic-glam all the way at SENSE this month with this stylish ensemble - a draped pashmina style top that flows elegantly to ankle length at the back, with a stunning overblown lace over silk pattern, worn with classic black high waisted skinny pants. Available in 6 colours (for the pashmina - the pants are always black). 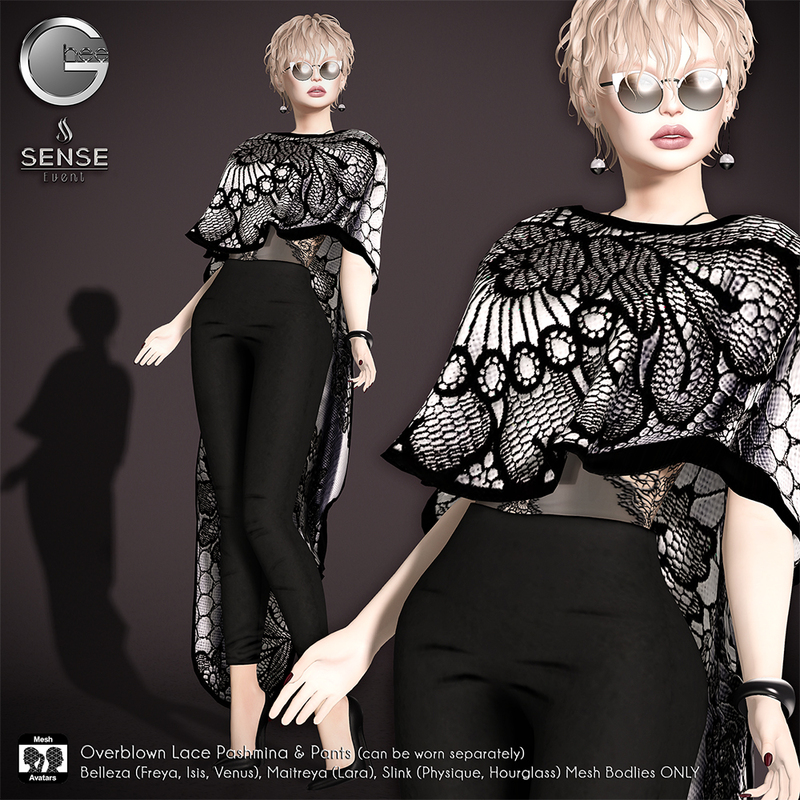 The items can be worn separately, and are fitted mesh for Belleza, Maitreya and Slink mesh bodies only. Materials enabled - switch on advanced lighting to see the textures at their best. At SENSE until 8th March. Here's your limo!